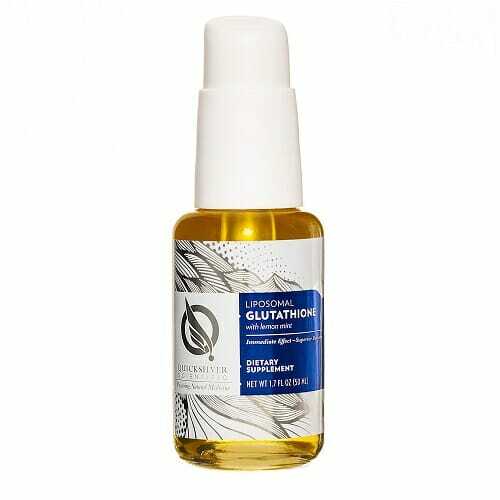 This Liposomal Glutathione Spray from Quicksilver Scientific provides the body’s master antioxidant protected by easily absorbed liposomes. Product must be stored in refrigerator before and after being opened. Quicksilver Scientific recommends this product be shipped with ice, particularly during the summer months, so we offer free ice shipping on all orders! Earn up to 40 DR Reward Points. As a crucial detoxification compound, Reduced Glutathione provides support to the cardiovascular, neurological and immune systems of the body. 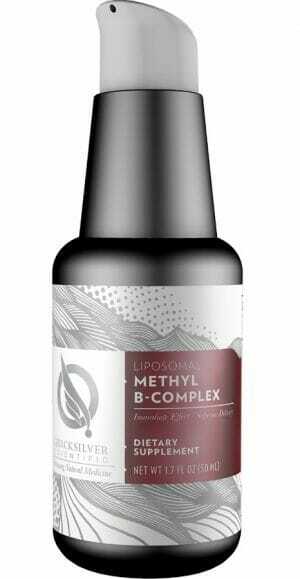 It also generates protection from toxins at a cellular level. Quicksilver Scientific uses the most active form of Reduced Glutathione and liposomal delivery to provide superior bioavailability. 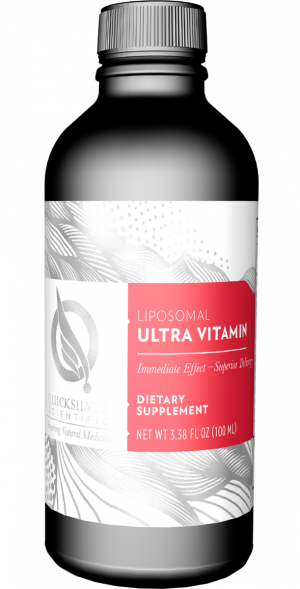 Sublingual liposomal delivery aids in proper nutrient absorption. Additional glutathione may contribute to healthy immune system. 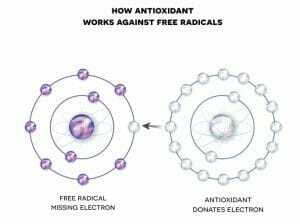 Aids in natural detoxification from toxins and free radicals. Supports overall cell health and functionality, including standard neurological functions. Free ice shipping is recommended to preserve maximum potency. Without GSH cells cannot maintain their full functionality, leaving them vulnerable to damage, diseases, and early cell death. Glutathione deficiency contributes to oxidative stress, which plays a key role in the aging process and the pathogenesis of many diseases that occur gradually or due to cell damage. Maintaining a healthy level of Glutathione can support your bodily resistance to numerous degenerative diseases and other health conditions. Because of this it is important to supplement the body with GSH as it ages, preventing natural decline in GSH production from making you more vulnerable to cell damage and disease. Traditionally, GSH is poorly absorbed through oral means. Intravenous (IV) therapy can be used to allow the body to directly access the supplement, but is inconvenient and expensive when compared to oral delivery systems. To get around this, Quicksilver designed an oral delivery system with the power of IV therapy that bypasses the destructive digestive system altogether. This liposomal oral delivery system uses only high-phosphatidyl choline phospholipid mixes which are smaller and more stable tightly distributed single-layer spheres than other liposome delivery systems. 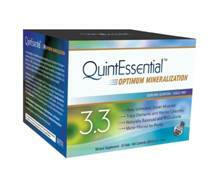 This allows medicinal absorption to begin immediately when Quicksilver Scientific products hit your mouth. 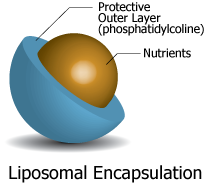 Liposomes are made of phospholipids and supplemental compounds. The supplement is kept safely in the center of the liposome while the phospholipids enclose it and transport it across cellular barriers, even the blood-brain barrier. Phospholipids are the building blocks of all the body’s cell membranes, so the body recognizes the liposome as natural and doesn’t attempt to break it down or remove it from the body.4 Also, the phospholipids used by Quicksilver feed the body’s cell membranes and promote proper cell function, so they can act both to aid in delivery and promote health in their own way. Notice from the manufacturer, Quicksilver Scientific: This is a refrigerated only product and is not eligible for refunds or replacements. Take 1-4 pumps at a time, 2-4 times per day, by mouth, hold 30 seconds or more and swallow. 1. Wu G, Fang YZ, Yang S, Lupton JR, Turner ND. Glutathione metabolism and its implications for health. J Nutr. 2004;134(3):489-92. 2. Zeevalk GD, Bernard LP, Guilford FT. Liposomal-glutathione provides maintenance of intracellular glutathione and neuroprotection in mesencephalic neuronal cells. Neurochem Res. 2010;35(10):1575-87. 3. Morris G, Anderson G, Dean O, et al. The glutathione system: a new drug target in neuroimmune disorders. Mol Neurobiol. 2014;50(3):1059-84. 4. Rosenblat M, Volkova N, Coleman R, Aviram M. Anti-oxidant and anti-atherogenic properties of liposomal glutathione: studies in vitro. 2007;195(2):e61-8.